Make the most of your Africa vacations! Our destination experts have curated a list of the top ten list of things to do in South Africa. 1. Kruger National Park: The best South African safari adventures and one of the most popular safari areas in Africa! In Kruger National Park you have the best chances to see the Big Five within a day. 2. Include the Apartheid Museum in Johannesburg in your South Africa travel plan. Here, you will learn all about the country’s turbulent past. Visit the Mandela House in the historically significant Soweto district, where the legendary freedom fighter lived from 1946 to 1962. 3. Visit Robben Island, the notorious prison island a boat ride from Cape Town. During the apartheid, government bosses – including Nelson Mandela – were imprisoned here. Today this authentically preserved site is a moving museum. 4. Certainly one of the most beautiful routes in the world is the famous Garden Route between Mossel Bay and Tsitsikamma National Park. Along the varied panoramic route are idyllic small seaside resorts, secluded beaches and dense forests. 5. 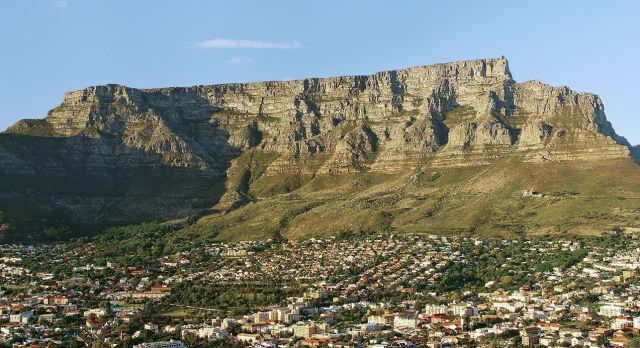 Take a cable car up to the top of the imposing Table Mountain, the landmark of Cape Town and a popular excursion for the city’s inhabitants. From here you have a fabulous view of the metropolis, which is said to be one of the most beautiful cities in the world. 6. Discover scenic Stellenbosch, a charming old town with shaded boulevards ideal for relaxing strolls. Above all, the town is best known as the center of South Africa’s wine-making tradition. Discover some of the best-known wineries in the world. This one is a must-do during a South Africa tour! 7. With seven different ecology habitats, Phinda Private Wildlife Reserve has the nickname ‘Seven Worlds of Miracles’. Probably no other place in the world has so much biodiversity in such a relatively small space. 8. The Addo Elephant National Park near Port Elizabeth is home to the Big Five, as well as rare white tail frogs, mountain zebra and the black rhino, as well as over 150 bird species. 9. 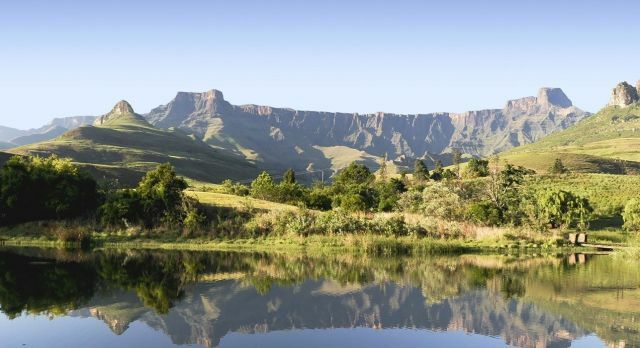 Dramatic gorges, colored rock formations and spectacular views are promised with a visit to the majestic Drakensberg Mountains, the highest mountains of southern Africa. Explore the wonderful mountain landscapes while hiking, or experience an exciting rafting adventure at the Blyde River Canyon. 10. 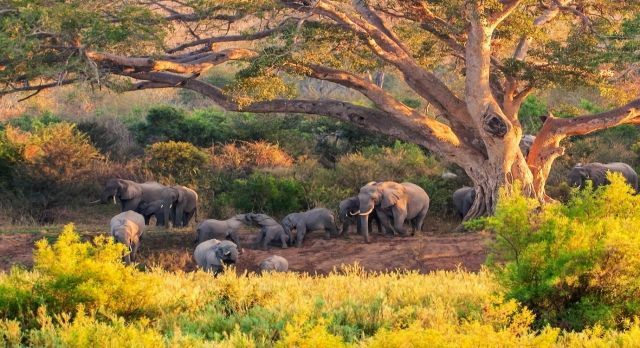 Witness impressive animals during your safari in the Madikwe Wildlife Sanctuary: elephant and buffalo herds, rhinos and various predators will take you into wide grasslands that alternate with dense forest areas. Experience one of the most diverse countries in Africa on a private trip to South Africa. Our experts are happy to recommend the best route and the perfect South Africa safari lodges for your vacation.